Note: This is my first look & impressions after using it almost a week. 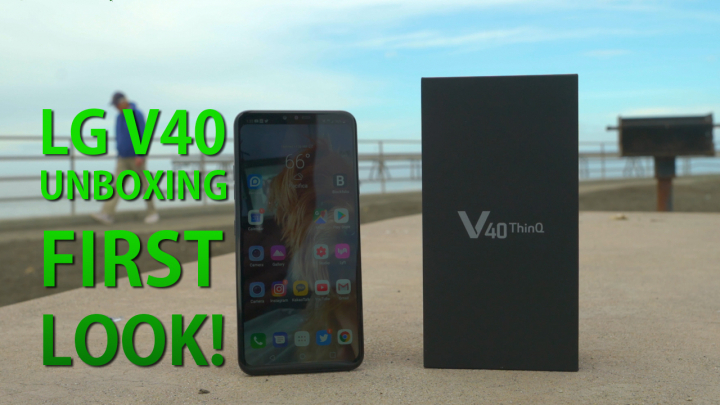 The LG V40 is a “phablet” smartphone with a whopping 6.4-inch POLED display(same size as Note 9) along with Snapdragon 845 processor, 6GB of RAM, and of course, FIVE cameras. While performance will be on par with the rest of the smartphones launched this year, its selling point is without a doubt the 5 cameras. So, what can you do with 5 cameras? For the back cameras, the 3 cameras allow you to zoom into your subject without loss in quality, use a wide-angle camera like a GoPro, or just take a normal shot with its high-performance 1.4 microns sensor(that is 40% bigger sensor than the LG G7). For photos, all 3 back cameras work well in bright light while in low-light, the telephoto suffers a bit from not having OIS. Wide angle camera also has slightly better low-light performance than one found on the LG G7. Overall though, performance of all 3 back cameras are excellent, it’s almost like carrying a big DSLR zoom lens with your at all times. The highlight of LG V40 in my opinion is its EIS, the LG V40 has EIS(Electronic Image Stabilization) on ALL 5 cameras including in 4K mode for all 3 back cameras and even the front two cameras. In my opinion, EIS is definitely one of the best I have tried so far and works especially well with the new 2X telephoto camera, which lacks OIS. Whether you are trying to get a nice close-up shot of your kids at the school show or trying to get that nice wide-angle look on your next hiking trip, LG V40 can do it all. And yes, even Samsung is getting in the game, rumored to have at least 4-5 cameras next year. Having a ton of cameras is about versatility and the LG V40 is definitely on the forefront of smartphone camera tech this year, and definitely I should have some more coverage on the cameras soon. As for other cool features, the LG V40 has a lot of same features carried-down from the LG G7 such as the IP68 rating(that works quite well in my Spa), fast wireless charging, Boombox sound, and Quad DAC/3D surround sound(that you can use with headphones that normally require an amp such as my Sennheiser HD800 headphones). 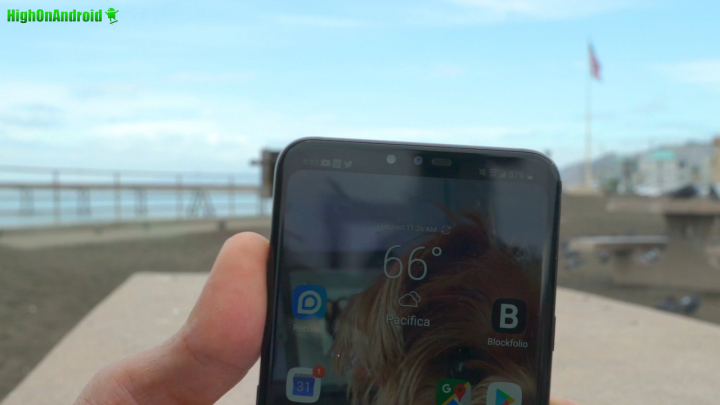 LG V40 has much improved over the LG G7 that brings its ultimate added value such as EIS added for all cameras(LG G7 only has EIS for 1080P), two front cameras(one normal, one wide-angle), and 1080P 240fps slow motion(whereas LG G7 has only 720P 240fps). Also LG has brought back the POLED instead of using LCD with extra white sub-pixels, which I think it slightly better in sunlight. There is also added “Cine-shot” that will allow you to make animated photos, nice little touch for those of you who live on social networks. 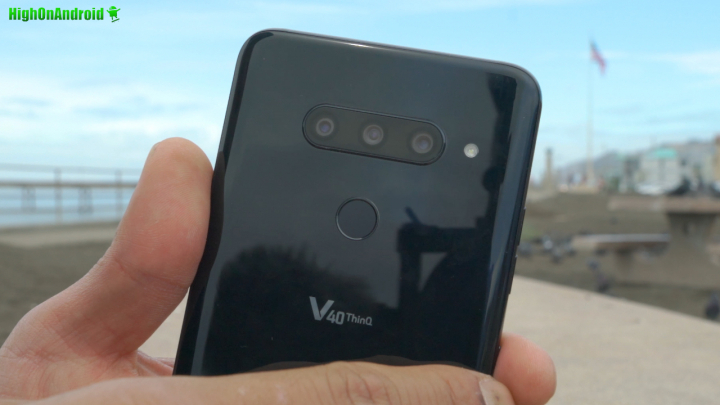 Overall, LG V40 is definitely impressive, considering no other company has attempted to bring both wide-angle and telephoto cameras in one smartphone. And that alone I think it the reason you should buy the V40 over other smartphones out today. Of course, LG V40 isn’t for everyone but for those of you who need more cameras and especially hard-core headphone users. I should have a full review soon but for now, it looks muy bien. Next story LG V40 Low Light 4K Camera Demo! Previous story Pocophone F1 vs. Xiaomi Mi 8 vs. Galaxy S9 Camera Comparison!